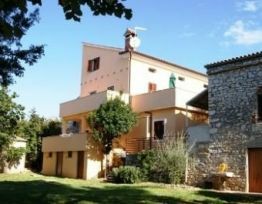 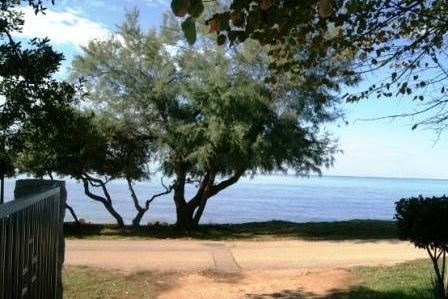 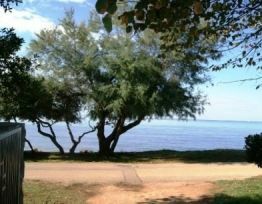 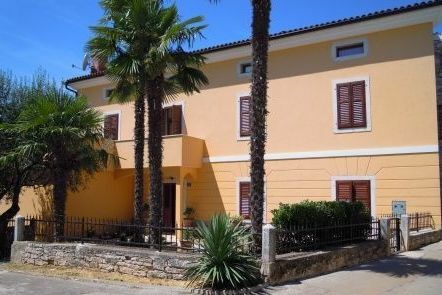 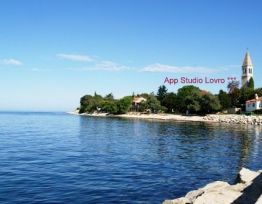 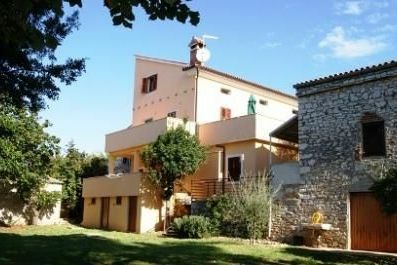 In a pleasant atmosphere of the former rectory of San Lorenzo (between Umag and Novigrad) are located the Studio Apartments Lovro (Lawrence). 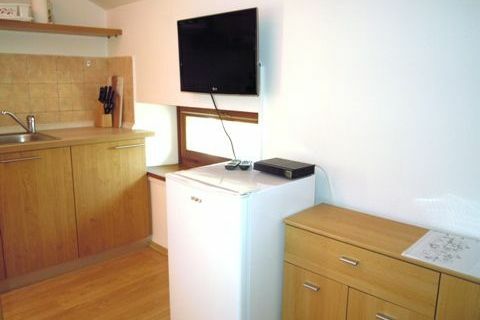 These five stylish studio apartments are equipped with air conditioning, LCD satellite TV, barbecue and a table, shared in the courtyard. 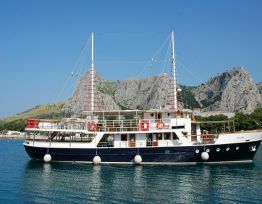 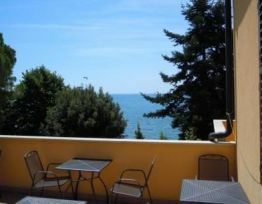 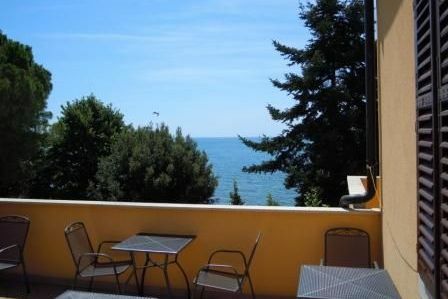 The terrace offers a great view of the sea, which is just a few meters from the courtyard. 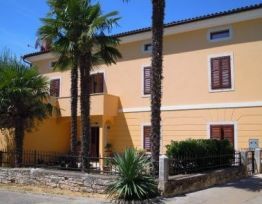 The courtyard is closed and a portion is adapted as parking. 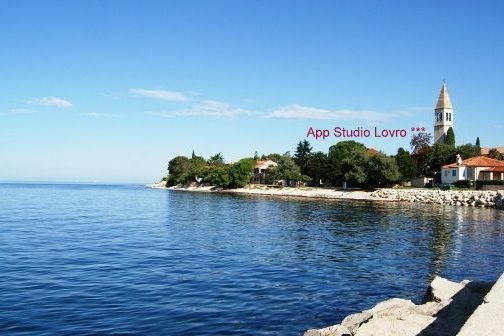 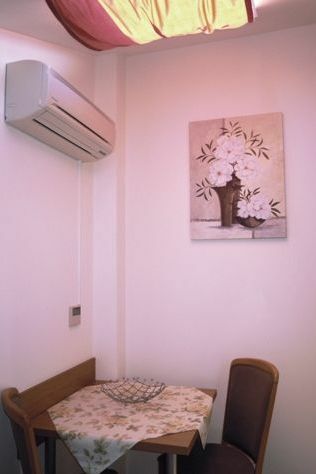 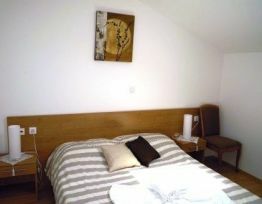 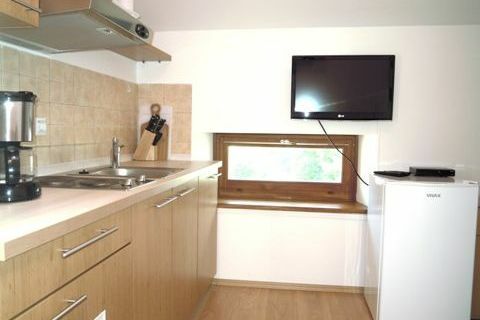 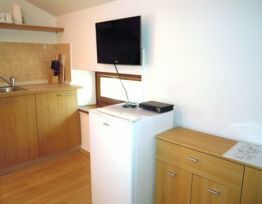  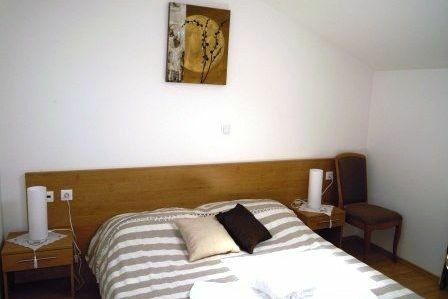 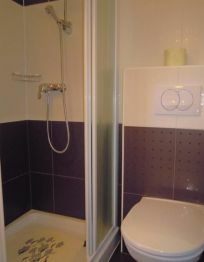 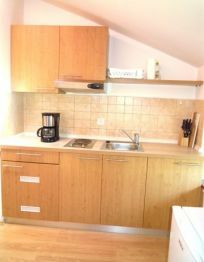 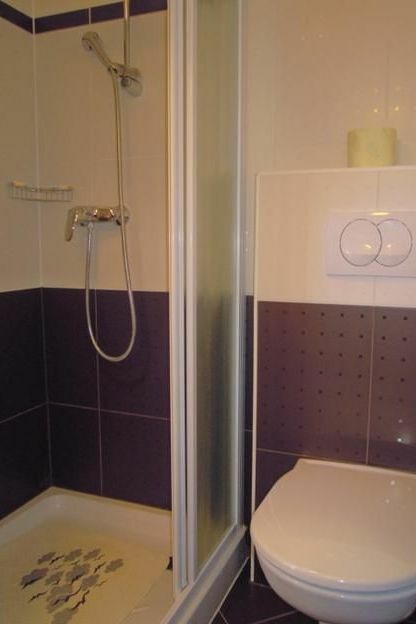 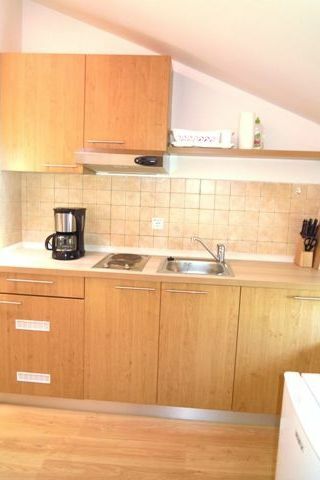 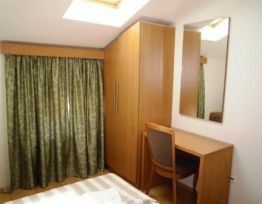 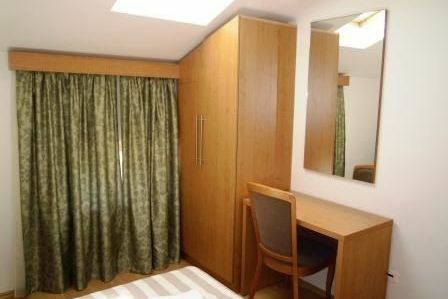 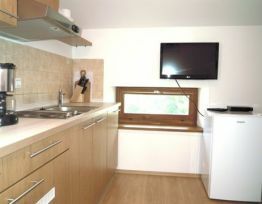 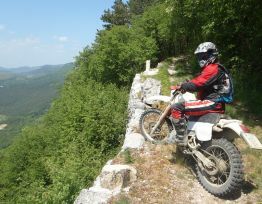 Lovro App Studio 4 has a double bedroom, kitchen and bathroom (shower). 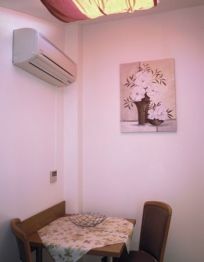 It is located on the second floor of the house.